As with other titles in Ueberschall’s growing catalogue of Elastik-based collections, this is essentially a loop?based library organised into a number of construction kits, all presented via the small (but very efficient) Elastik front?end. In terms of pure numbers, the library comes in at just under 4GB, with 1500 loops divided between 18 construction kits. The loops themselves are dominated by drums, guitars and bass, but the occasional keyboard loop is also thrown in. Two very welcome features of the construction kits are worth noting. First, while pre?mixed stereo drum loops are provided, each drum loop is also presented as a series of multitrack loops (snare, kick, hi?hats and overheads, for example). These mean that you can remix the kit to your own taste or drop some elements out for added variety, although do note that the recordings are from a multi?miked drum kit, so there is spill between them. The second feature is the inclusion of an excellent range of song sub?sections in each construction kit — intro, verse, chorus, bridge (or breakdown section) and outro — with the last of these featuring a proper ending. Many construction?kit libraries don’t provide this kind of detail, so top marks to producer Kai Reuter! 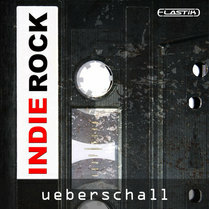 Indie rock is a pretty broad field but the material here got me thinking of a number of fairly mainstream bands. For example, the kits titled ‘Bittersweet’ and ‘Lost You’ showed a touch of Kaiser Chiefs?style humour, while ‘Backtrack’ could have come from a Feeder album. There were other nods towards My Chemical Romance (in their more pop?orientated moments), Fall Out Boy, Lostprophets, Mexicolas, Paramore and even a hint of rock?flavoured Blink 182 pop/punk (the ‘Run’ kit, for example). In terms of recording quality and sound, the library is also spot-on. The drums and guitars are particularly impressive, the guitar sounds ranging from grungy to glassy, and the playing is really good. Most welcome are the choices available in each song sub?section. The same basic chord pattern or riff is often supplied with different guitar tones or performances, so you can build plenty of variety into your compositions.